hen private health insurance exchanges first worked their way into a steady stream of headlines, they were heralded as a proven solution for retirees that would revolutionize benefits delivery for active employee populations. Then those proclamations virtually disappeared. “It just feels like private exchanges have fallen off the radar,” says Paul Fronstin, Ph.D., director of the Employee Benefit Research Institute’s Health Research and Education Program. He quips about all the frequent-flyer miles earned from presentations on the approach as late as 2015. But at some point, he stopped tracking enrollment, which industry observers tell him is growing slowly. The trouble with calculating an exact number of enrollees, including those in self-insured vs. fully insured arrangements, is that it’s no longer possible to find private exchange turnover and growth buried in vendor’s quarterly financial statements, according to Barbara Gniewek, a principal in the health care practice of PwC, which launched the Private Exchange Evaluation Collaborative in 2013. While a change in leadership at two of the PEEC’s businessgroup collaborators has stunted the group’s progress, she says quarterly meetings are still held. The irony, according to several knowledgeable sources, is that the public relations fallout associated with public exchanges rolled out in 2014 under the Affordable Care Act affected the perception of private exchanges and, presumably, interest in this model. That drove some of the largest players to scrap or never even use the term “exchange,” which became a loaded word with negative connotations. Consider, for example, the Mercer Marketplace and Conduent, which used to be RightOpt when it was owned by Buck Consultants, a Xerox company, as well as Willis Towers Watson rebranding its OneExchange product Via Benefits. These exchanges, along with the Aon Active Health Exchange, are considered the benefit consulting industry’s “big four” players. But the fact is that private exchanges not only preceded the public ones by about a decade for retiree populations and a year for active employees, but also were lauded for their efficient delivery, solid technology and expanded suite of core and ancillary benefits beyond major medical coverage. Sears and Darden Restaurants were early adopters in 2013. In early 2014, Fronstin recalls making a projection about private exchange enrollment by 2018 that was as radical as Accenture’s bold 40 million mark – in the opposite direction. His was simply a modest 8 million to 10 million, which turned out to be spot on to what researchers generally believe it is today. The analogy he’s fond of making is that private exchanges would take off like an airplane, not the space shuttle, much like health savings accounts, which are penetrating only about 30% of the marketplace nearly 15 years after they were introduced. A better mousetrap? Despite falling short of sky-high expectations for enrollment, employee satisfaction with private exchanges has been between 80% and 90% over the past decade, says Alan Cohen, who co-founded Liazon, a leading private benefit exchange since acquired by Willis Towers Watson. He recently published a book entitled, “Employee Benefits and the New Health Care Landscape: How Private Exchanges Are Bringing Choice and Consumerism to America’s Workforce” (Pearson; $29.99). Evidence of their worth and value proposition has been mounting over several years. John Caldarella, SVP and national practice leader with the Aon Active Health Exchange, cites “strong proof points” that private exchanges drive competition, control cost, improve customer satisfaction and unlock innovation. Gniewek surmises that most exchanges, which some very bullish estimates pegged at as many as 150, offer a self-insured platform on the active employee side. She also says some benefit brokers are pushing exchanges downstream to below 100 lives. Organizations with a broad geographic footprint need to maximize their local health care efficiencies in an era where the differentiation is finer, Caldarella says. This means moving far beyond a one or two-carrier solution, especially the more diverse a workforce gets in terms of age group and income. So it’s all about customizing benefit choices and spending company funds in a way that best fits each employee and dependent’s needs, he adds. A multi-carrier approach that raises the level of competition is “the utopia of a private exchange,” according to one industry insider who says this is especially true in a fully insured context, whereas self-funded companies are underwriting their own health plans. He adds that multi-plan offerings thrive, regardless of the financing mechanism, because they expand employee choice. Aon’s most recent consumer-driven health plan survey shows that nearly 80% of employers offer three or more health benefit plans. Caldarella says this lends itself to having more of a standardized gold, silver and bronze offering wherein employers aren’t preoccupied with tweaking out-of-pocket costs. However, fully insured employers are more likely to partner with a private exchange than those that self-insure because they’d rather not “take on the responsibility for better managing the cost of health insurance year-over-year,” the insider says. That decision is largely driven by demographic factors such as high turnover of employees who don’t value their benefits, he adds. 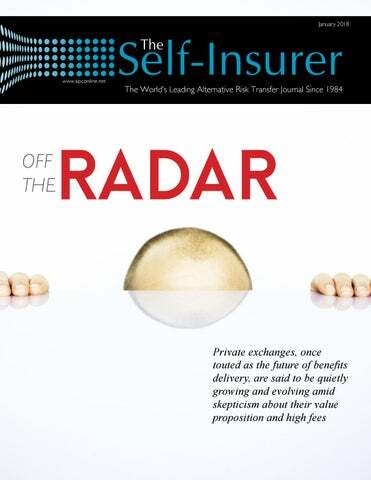 Self-insured employers may have shied away from private exchanges for several reasons, according to several sources. One is a willingness to allocate resources to their HR function vs. an exchange to ensure employees are healthy and spending less so they can better manage their annual health care spend. Another is that private exchange fees were, and continue to be, on the higher side, while the insider says some self-funded plans “didn’t see as much savings from a utilization perspective” that were anticipated partnering with an exchange. The insider believes more self-insured employers would be willing to adopt a private exchange if given an opportunity to pick and choose what type of features they want and set a reasonable price point that makes sense for both parties. superior consumer shopping experience” this model offers. Another potential selling point for exchanges is if self-insured employers adopt a defined contribution strategy and increase that contribution level by a specified percentage each year, the insider explains. He says wiser plan choices and utilization will reduce the amount of money from a self-insured trust dedicated to paying claims. In addition, he notes that a private exchange algorithm could help determine what type of ancillary product would be best suited to an individual to help fill coverage gaps before a high annual deductible is met. It’s also worth noting that the use of technology and flexibility in delivering health benefits, along with personalization and choice, have become increasingly important to most employers as millennials take over the workforce, according to Gniewek. The same can be said about using technology to aggregate benefit programs and create a hub for employees. These elements are clearly the building blocks of an exchange. Defying the critics One common criticism of private exchanges is that they “haven’t shown enough new stuff to keep people interested,” Gniewek notes, though refuting the claim. In fact, she says they continue to enhance platforms, develop apps, expand benefit voluntary offerings, streamline decision support and provide transparency in the clinical realm. For health care consumers who are trying to navigate their way through complex decision making, choice is the operative word – with or without the assistance of a private exchange. some ways,” he adds, “what exchanges have done is create some technology to better help people shop” for coverage. isk retention groups (RRGs) and risk purchasing groups (RPGs) have been helping self-insureds obtain liability insurance for more than thirty years.Yet there is a unique structure that is a product of the Liability Risk Retention Act (LRRA) that has only been utilized by a handful of companiesâ&#x20AC;&#x201D;RPGs forming RRGs to insure their liabilities. Risk purchasing groups can often find it difficult to obtain the coverage they need, even though they are taking advantage of bulk purchases of liability products. RPGs may have trouble finding insurance products to meet their needs, an insurer could decide not to write their program any longer, or they may find product pricing volatile. As for any individual or group trying to get adequate insurance coverage, self-insurance can provide more stability and cost-effectiveness. When liability insurance was expensive and hard to obtain, in the late 1970s and early 1980s, Congress passed the Product Liability Risk Retention Act in 1981 to address the issue specifically concerning product liability. It was followed five years later by the Liability Risk Retention Act of 1986. The LRRA expanded the scope of the original act by including all forms of liability insurance. The Act enabled businesses, professionals, trade associations, nonprofit organizations, and governmental agencies to establish self-insurance pools which either retain risk—risk retention groups (self-insurance companies), or purchases liability insurance on a group basis—risk purchasing groups (group purchasing entities). state regulation. Among other key benefits provided by the LRRA is the ability for RRGs and RPGs to tailor liability coverage to meet the specialized needs of its members. As much as RRGs and RPGs have in common, there is very little cross over in their businesses. Attorneys that specialize in setting up risk purchasing groups are rarely involved in risk retention group formation. Captive managers rarely are involved with risk purchasing groups, since RPGs are not actually risk-bearing companies. However, since the inception of the LRRA, there have been a few RRGs and RPGs that have benefited from a symbiotic relationship where a RRG acts as insurer to its member risk purchasing group or groups. Currently, there are two such RRGs operating in this capacity— Midwest Insurance Group, Inc., A RRG and Allied Professionals Insurance Company, A RRG, Inc. (APIC). Midwest Insurance Group was formed by and insures members of the Midwest Insurance Coalition PG, which offers general and professional liability for nursing home owners and operators, mostly in Indiana. Both RRGs and RPGs must be organized for the sole purpose of providing liability insurance for individuals or organizations that share similar liabilities. RRGs and RPGs are required to be chartered in one U.S. state domicile and to register in the states in which they intend to do business. The LRRA preempts various aspects of state regulation, requiring that RRGs and RPGs only be subject to regulation by their state of domicile. APIC is owned by and acts as insurer to three risk purchasing groups—all of which formed during the early years of the LRRA: American Acupuncture Council PG, owned by the American Acupuncture Council; American Massage Council Insurance Buying Group, owned by the American Massage Council; and National Chiropractic Council PG, owned by the National Chiropractic Council. As the association names suggest, APIC provides medical professional liability to chiropractors, acupuncturists, and massage therapists through their trade associations and provides coverage in all 50 states, District of Columbia, and all U.S. territories. It was after losing yet another insurer after September 11, 2001 that the three RPGs decided that they needed control over their liability program. The chance to have the stability of steady liability coverage was the primary motivating factor for creating APIC, said Schroeder, who was involved in establishing the RRG. APIC has done just that. It has created a secure avenue for liability insurance and has allowed each RPG to expand. According to the Risk Retention Reporter’s annual Risk Retention Group Directory & Guide, as of 2016, APIC had 148,000 insureds and gross premium of more than $21 million. Those were just the benefits that APIC and its RPGs found in the beginning. In the fourteen years since it began operating, the RRG has found additional benefits. As beneficial as RPGs self-insuring through RRGs can be, only a handful of companies have taken advantage of this structure during the last 30 years. The fact may be that RPG members and RRG owners may not even be aware that this option exists. “I think a lot of companies went straight to being RRGs and didn’t do the intermediate step of being a RPG. Frankly, a lot of RPGs that are out there, they’d really be smart to form their own RRGs. It seems like an overwhelming task to switch over to being an actual risk-bearing entity, and I think that’s where the struggle is,” said Schroeder. nother year has come to an end. For many of us, the open enrollment period has long since ended and plan amendments for 2018 have been completed. As the famous Chinese philosopher Confucius said, “study the past if you would define the future.” To help you with your period reflection and forecast, we take a cue from Confucius and look back at 2017 to see what was, what was almost and what might be in 2018. •	Initial “leaked” drafts of proposed legislation would have apparently capped the income exclusion under Code Section 106 for employer provided accident and health coverage in lieu of the Cadillac Tax. The Cadillac Tax ultimately won out. •	The employer shared responsibility taxes would have been retroactively reduced to $0. President Trump issued an Executive Order on January 20, 2017--the day he took office--that directed the Secretaries of the Departments of Labor, Treasury and Health and Human Services to “waive, defer, grant exemption from or delay implementation of any provision or requirement of the ACA”. Employers who sponsor health plans breathed a great sigh of relief; however, such sighs of relief appeared to be premature. HSAs and expanded access for small employers to “association” health plansamong other things. It is unclear whether this Executive Order will have a significant impact on employer ACA obligations, but we do see some changes (e.g., with respect to ACA insurance mandates and state waivers). If you ask the applicable large employers that recently received significant penalty assessments from the IRS under the employer shared responsibility rules, they would quickly tell you in demonstrative fashion that it had no impact. In October of 2017 President Trump issued another Executive Order that may actually have an impact on employer sponsored health plans. The order directs the heads of the tri-agencies to expand the use of HRAs and to improve access to association health plans (AHPs) for small employers. This Executive Order was followed by a Memorandum issued by the White House to the heads of the agencies freezing any regulations not yet published and delaying the effective date any regulations published but not yet effective. Unfortunately for the health and welfare plan world, there were few if any health and welfare plan related regulations affected by the order. What HRA guidance should we expect? The Executive order is broad and the statute leaves the agencies with significant flexibility to issue guidance. Hopefully, the expected guidance will revive standalone HRAs and premium reimbursement arrangements for individual major medical insurance premiums that Notice 2013-54 and its progeny precluded. As of the date of publication of this article, the DOL had already submitted regulations regarding AHPs to the Office of Budget and Management for review. Although we have yet to see or hear anything about HRA related guidance, the quick response by the DOL regarding the association health plans, and the ability of the agencies in the statute to issue guidance on HRAs leaves us optimistic that we will see something soon. In April 2016, the DOL issued final regulations that redefine and expand the definition of “investment fiduciary” and change the manner in which investments are offered to plan participants and the fees charged by investment fiduciaries to plans and plan participants. Basically, if you are receiving a fee for providing investment advice (as broadly defined by the regulations) you are an investment fiduciary and you have a conflict of interest that runs afoul of the prohibited transaction rules in ERISA and/or the Internal Revenue Code. However, this compensation may still be permitted if you satisfy certain “best interest” conduct standards as well as written notice and contract requirements set forth in one of several prohibited transactions exemptions, the broadest of which was the Best Interest Contract Exemption (aka “BICE”). Investment fiduciaries were not only at risk of penalties under ERISA and/ or the Code but also lawsuits from plans and plan participants related to poorly performing investments, even if the plan or the plan participant chose the investment. Not surprisingly the new rules had a significant impact on qualified retirement plans but much to the surprise of many, the new rules also impacted the manner in which investments are offered to Health Savings Account beneficiaries. HSA custodians and trustees are now at risk if they receive fees for providing investment advice—and merely offering an investment slate from which to choose could be considered “advice” under the new rules. The rule generally went into effect in April 2017; however, the DOL issued transition relief until January 1, 2018. Under the transition relief, investment fiduciaries are still subject to the specific conduct standards but did not have to comply with the written notice, contract, and other “infrastructure” requirements in the various prohibited transaction exemptions. The DOL will apply a good faith compliance standard during the transition period. In November of 2017, this transition relief was extended until July 1, 2019. In Delaware, our captive regulators are dedicated exclusively to our captive insurance clients’ needs, and work under the direction of our Captive Bureau leadership, directed by Steve Kinion. The plan must provide the following additional disclosures in adverse benefit determination notices: o	An explanation of the basis for disagreeing with the medical experts whose advice was obtained on behalf of the plan, or with disability determinations made by the Social Security Administration; o	If the denial is based on a medical necessity or experimental treatment or similar exclusion or limit, an explanation of the scientific or clinical judgment for the denial, applying the terms of the plan to the claimant’s medical circumstances (or a statement that such explanation will be provided free of charge upon request); o	A statement informing the claimant of his or her right to receive, upon request and free of charge, reasonable access to and copies of the entire claim file and other relevant documents; o	A disclosure of the specific internal rules, guidelines, protocols, standards or other similar criteria used as a basis for the denial; and o	A description of any applicable contractual limitations periods applying to the claimant’s right to bring an action as well as the calendar date upon which any rights expire. As delayed, the new rules are now applicable to claims and appeals filed on or after April 2, 2018. What plan changes are required? ERISA Section 102 requires the summary plan description to provide a description of the plan’s claims and appeal procedures, so plan sponsors will arguably need to amend the summary plan description to reflect the new rules. Fortunately, a summary of material modification is not required to be distributed with respect to these changes until 210 days following the plan year in which the change is adopted. That gives plan sponsors a reasonable amount of time to communicate the changes. In the meantime, absent further changes by DOL, plan sponsors should ensure the actual procedures and adverse benefit determination notices comply by April 2. If the procedures are described in a separate plan document, the plan sponsor should also consider amending the plan prior to April 2. The Courts Weigh in. . . . . on Wellness Programs! The AARP asked the court to vacate the regulations, but the court rejected that request because doing so would cause significant disruption to existing wellness programs that are in operation based on the rules. Consequently, the EEOC’s 2016 final ADA and GINA regulations are still in effect—FOR NOW. More and more employers are implementing wellness programs these days to help improve employees’ health. Properly designed wellness programs provide value to both the employee and the employer. Employees’ health improves and, in return, health plan costs go down and productivity goes up. It is a win-win for all involved. But wellness programs are subject to a variety of complex and often ambiguous federal rules and regulations that make wellness program administration a challenge for even the most astute employer and put inattentive employers who sponsor such programs at risk of liability. Two recent lawsuits highlight the regulatory complexity surrounding wellness programs: AARP v. EEOC and Acosta v. Macy’s. Employers who sponsor wellness programs (or who are thinking about implementing a wellness program) and wellness program administrators should take note of these lawsuits. So now what? It is business as usual until the AARP case reaches its final disposition. When that happens, it is possible that the court will find that the EEOC cannot justify its position. That could mean that wellness programs can only provide nominal incentives under the ADA and GINA. On August 16, the DOL filed a complaint against Macy’s Inc. (and others) regarding, in part, Macy’s wellness program. In 2014, Macy’s wellness program imposed a premium surcharge on employees who certified tobacco use unless they further certified that they completed the reasonable alternative during the plan year (presumably a tobacco cessation program) and either were tobacco-free or had stopped using tobacco products and were working toward being tobacco-free. In other words, tobacco users could not avoid the surcharge simply by satisfying the reasonable alternative standard; they also had to stop using tobacco products. The DOL alleged, among other things, that Macy’s wellness program violated HIPAA’s nondiscrimination requirements. The AARP filed suit against the EEOC, claiming that the 30 percent incentive limitation it crafted in its 2016 ADA and GINA regulations is inconsistent with the ADA’s and GINA’s voluntary requirements and that the EEOC failed to adequately justify its position that a wellness program with an incentive up to 30 percent is voluntary. Having found that the EEOC acted arbitrarily, the court in its Memorandum of Opinion remanded the regulations back to the EEOC for reconsideration. The DOL’s allegation is interesting because it underscores the DOL’s apparent position reflected in the final HIPAA nondiscrimination rules that you cannot require participants to stop using tobacco products in order to avoid the surcharge. This may seem counterintuitive to many wellness program sponsors. What is the point of having a tobacco cessation program if you cannot require employees to stop using tobacco products, right? But the final HIPAA nondiscrimination regulations, as amended to reflect the requirements of the Affordable Care Act, make it clear that you must offer all who fail to satisfy a health-outcome-based standard a reasonable alternative regardless of medical necessity. Consequently, if the employee uses tobacco products, he or she is entitled to a reasonable alternative without having to show that a medical condition prevents the employee from stopping the use of tobacco. Caution: We are aware that the DOL is also focusing heavily in audits on whether the plan sponsor provided notice in ALL materials that describe the wellness program and its incentives or surcharges. Treasury issues much needed QSEHRA guidance (but we still don’t know how to say “QSEHRA”) In December of 2016, Congress passed the Cures Act, which includes a provision that permits employers who are not applicable large employers for purposes of the employer shared responsibility rules to establish “qualified small employer health reimbursement arrangements” or “QSEHRAs” to reimburse medical expenses incurred by eligible employees and their dependents, including but not limited to major medical premiums for individually issued policies. The statutory framework for QSEHRAs was confusing to say the least and several significant legal and practical limitations and potentially significant penalties may arise for unwary small employers adopting a QSEHRA arrangement. For example, QSEHRAs are only available to employers that are not subject to the Affordable Care Act (ACA) employer responsibility penalties – i.e., employers that have less than 50 full-time and full-time equivalent employees and thus are not applicable large employers (ALEs). In addition, while many small employers are likely to find QSEHRAs attractive, there are some features that should be looked at carefully before deciding to move forward. These include a requirement that a QSEHRA can only be funded through direct employer contributions (meaning that no employee salary reduction contributions are permitted), nondiscrimination rules, and a provision prohibiting employers from maintaining another group health plan. See recent IRS FAQ guidance in Notice 2017-67, which you can find at https://www.irs.gov/pub/irs-drop/n-17-67.pdf. The guidance, although lengthy, helps you avoid the compliance traps. The assessments may not be correct. There are any number of reasons that an employee may have received a subsidy and triggered an employer penalty notice, even when all of the requirements for a penalty have not been met. An applicable large employer may be subject to an employer mandate penalty for a month if a full-time employee receives a subsidy that month for coverage purchased on an Exchange. Employees will only qualify for a subsidy on an Exchange if, among other things, they are not eligible for affordable, minimum value coverage from their employer. However, due to deficiencies in the process of collecting data, some employees may have received subsidies for which they did not qualify, and even if an employee did qualify for the subsidy, the employer may be exempt from the penalty for other reasons. The standard for determining the affordability of coverage, for example, is different from the perspective of the employee and the employer. The notice of assessments will come in the form of a “Letter 226j.” It will come from the Department Key Cost of Living Adjustments for 2018 of the Treasury, Internal Revenue The IRS has now released the cost of living adjustments for 2018 applicable to health and Service, and will start by saying, welfare benefit plans, as reflected in the chart below. “We have made a preliminary calculation of the Employer Shared Benefit Plan 2017 Limit 2018 Limit Responsibility Payment (ESRP) that Health FSA $2600 $2650 you owe.” Transit Pass $255 $260 You will have only 30 days to Parking Expenses $255 $260 respond. Thus, your mail rooms should be on the lookout for the HSA-HDHP Self-only: $1,300 (self only) Self-only: $1,350 notice and know where to route it. minimum deductible Family: $2600 Family: $2700 It may be addressed to the contact (other than self only) (other than self only) identified on the 1094-C you filed, but there are no guarantees of that. HSA-OOP maximum Self-Only: $6,550 Self-Only: $6,650 You should alert the mail rooms Family:$13,100 Family: $13,300 for letters from “The Department of Treasury, Internal Revenue Service.” There is a specific response process prescribed by the IRS, but the requirements regarding an extension of time to respond have yet to be provided. Since each subsidiary of an Affordability Percentage for 9.69% 9.56% applicable large employer was 4980H purposes required to file its own 1094-C and 1095-Cs with the IRS, employers wishing to coordinate the response In addition, the PCORI fee for plan years ending prior to October 1, 2018 is $2.39. This is the to the IRS should also alert the fee due July 31, 2018 for calendar year plans ending December 31, 2017. subsidiaries (and their mail rooms) that a notice may be coming. o the surprise of the employer community, the Internal Revenue Service (“IRS”) quietly announced in November 2017 that they will begin enforcement of the Employer Mandate. In the wake of this announcement, the IRS has already sent out a number of letters to employers assessing penalties for the 2015 calendar year. Many of these letters have included sizeable, multi-million dollar assessment amounts. As a refresher, the employer mandate under the Affordable Care Act (“ACA”) penalizes employers who do offer employee coverage or do not offer coverage which meets minimum value and affordability requirements. It is important to note that the mandate penalties apply to firms with 50 or more full-time employees. Federally-facilitated Exchange did not send any of the required notifications to employers for the 2015 calendar year, nor did the majority of the State-based Exchanges. Thus, it has been argued that the failure to follow this “process” outlined in the ACA language potentially bars the IRS from assessing penalties for 2015, unless and until the ACA Exchanges “cure” this process defect by actually sending a 2015 notification to employers. Importantly, no notifications have been sent by any ACA Exchange for 2017, although the Federal Exchange did send out some notifications in the summer of 2016 (for the 2016 calendar year). While this argument is unlikely to derail the IRS’s current enforcement activities, it may delay enforcement if it resonates with the court or Administration. Waiver of Employer Mandate Penalties In the wake of these IRS enforcement actions and letters, Rep. Devin Nunes (R-CA) and Rep. Mike Kelly (R-PA) of the House Ways and Means Committee introduced legislation in early-December 2017 that seeks to waive the employer mandate penalties retroactively (2015-2017) and prospectively for 2018. The “waiver” proposal could potentially be included in an end-of-year legislative package, which may be enacted in the beginning of next year (Note: This may occur after the publishing deadline). Cadillac Tax Delay Republicans on the House Ways and Means Committee have also called for an additional one-year delay of the Cadillac Tax. Recently, SIIA joined 35 other industry associations on a letter imploring Congress to further delay implementation in the short-term, while looking at a long-term solution. With Treasury signaling a move towards issuing Cadillac tax regulations – and employers already planning for 2020 – addressing the tax now is critical in preventing cost increases to employees. As previously reported, while the Cadillac tax was intended to target only high-value plans, it is just a matter of time before the tax is triggered on a much larger majority of employees and their dependents, particularly among small businesses. SIIA continues to talk to Members of Congress on these issues and engaging in coalition activities, and will provide updates as Congress moves on year-end legislation. Buyer Beware – No Good Deed Goes Unpunished By Ron E. Peck, Esq. mployers and their advisors may soon find themselves accused of breaching their fiduciary duty if they continue to allow their benefit plans to pay inflated rates for medical services, without any justification for the excessive prices. This is due in part to customizing the plan to address only that population’s needs, adjusting benefits as the data requires, quickly implementing cost containment programs, shopping around for the best vendors, stop loss, and other elements of the plan, and otherwise ensuring that a customized approach trims the fat and applies each plan dollar where it will do the most good. So, you ask, if self-funding is such a panacea, why doesn’t everyone do it? As mentioned, however, not all benefit plans are the same. For many, purchasing what we label as “fully funded” or “fully insured” traditional insurance, is enough. For these consumers, risk aversion is king, and they will pay a premium (more likely than not more costly than their employees’ health expenditures) to an insurance carrier. In exchange for that premium, said carrier will take on the risk associated with paying the employees’ medical bills. Is there a chance some catastrophic claim, injury, or illness will cause the total medical expense to exceed the collective value of the premium? Sure. Is it likely? No. Insurance carriers are in the business of assessing risk, and calculating premium that will earn profit. For other employers less concerned with risk, the decision to keep the profit that would otherwise be paid to the carrier, and fund only the actual medical expenses, leads them to engage in the act of self-funding or self-insuring. It is to those employers that I now direct my commentary. Studies have shown time and again that employers who self-fund their benefit plan are more likely to save money over five years of doing so, when compared to a comparable fully insured policy. The answer is multifaceted. First of all, if you plan to provide benefits to a population with high medical expenses, you may benefit from fully insuring and working with the carrier to spread the risk over their entire risk pool. A self-funded employer takes on the entire plan’s expense, with few exceptions. Next, some employers prefer to pay “more” when that amount is something they can afford, to avoid the risk of paying “MORE” when that amount is something they cannot afford (even if the likelihood of such a massive claim is slim). Another consideration employers seeking to self-fund must consider (but few sadly do) is the matter of fiduciary authority. Indeed, ERISA dictates, among other things, that an employer who self-funds a benefit plan either acts as or appoints a plan administrator. that today is the riskiest time to be a plan fiduciary because it is the best time to be a plan fiduciary. Let me explain. More so now than ever before, innovators are developing new services, products, and methodologies to maximize benefits while minimizing costs. They are taking advantage of the self-funded plan structure, using our ability to customize, and targeting the high cost claims while increasing coverage elsewhere. Everything is being examined and new approaches are being applied to old issues and new. From medical tourism, to carve outs. From technologically advanced subrogation tactics to reference based pricing network alternatives. These are just a few examples of new and amazing ideas helping self-funded plans to evolve. Unfortunately, just like Kevin McCallister (Macaulay Culkin) who, in that 1990 classic film, is left “Home Alone” when the rest of his family rushes out the door to embark on an exciting adventure… so too are plan administrators and their supporting cast rushing into fun and exciting adventures without making sure their plan document is along for the ride. case, among other things, we see a benefit plan sponsor and their TPA attempting to contain costs by applying a reference based pricing methodology to their claims. This is great, and I applaud their efforts. Too often, these self-funded benefit plans – which are controlled by the terms of their plan document – implement a new, shiny service, product, or process and forget to update their plan document to match. This is why I feel that TPAs, and all of us in the business of servicing self-funded employers, need to protect employers even when we’re not obligated to do so. I fear, as in this case, that even if a self-funded employer “gets burnt” by something that is in no way, shape, or form our “fault” or “responsibility,” it’s still a black eye for the industry as a whole. Unfortunately, however, it appears that they may not have adjusted the applicable plan document to adequately reflect this new approach. While I’m sure this employer is thinking, “I thought the TPA does this for me?” Regardless of the truth of the matter, the employer – as a fiduciary – will be dragged into the complaint. This will – at best – harm the relationship between the plan and TPA, but – at worst – it will cause the plan to leave the TPA and possibly self-funding altogether. The plan document is how the plan administrator communicates to the plan members (current and prospective), providers, department of labor, etc., what the plan does and doesn’t do – and sets forth the terms by which people decide whether to enroll and contribute their hard earned money in exchange for membership. If the plan in practice doesn’t match the plan in writing, that is bad news. Many self-funded employers believe that by hiring brokers, third party administrators, and advisors, they can somehow protect themselves from this fiduciary threat. Yet, case after case has shown that – even though the broker, TPA, and the rest may ALSO be a fiduciary – the employer / plan administrator is still going to come along for the ride. This takes me, then, to my next concern. For some time now, (since the last major economic downturn), we’ve been hearing via mass media all about situations where employees are suing employers, and their brokers, over mismanagement of 401(K) and pension plans. Indeed, these advisors are in many instances fiduciaries of these employee investors, and – in most of these cases – the employees are accusing their “fiduciaries” of wasting the plan’s (aka their) money on less-than-advisable investments. Consider, for instance, the case of Lorenz v. Safeway, Inc., 241 F. Supp. 3d 1005, 1011 (N.D. Cal. 2017). In this class action suit, the Plaintiff (Dennis M. Lorenz) asserted claims under ERISA against the “Safeway 401(K) Plan’s” fiduciaries. Lorenz alleged, amongst other things, that the Defendants breached their fiduciary duty by selecting and investing the plan’s assets with funds that charged higher fees than comparable, readily-available funds, and which had no meaningful record of performance so as to indicate that higher performance would offset this difference in fees. Why does this scare me? I am scared because we could just as easily take this lawsuit (and the many like it) and replace the players with members of our own industry. Health benefit plans routinely spend plan assets to pay medical bills and compensate providers that may be more costly “than comparable, readily-available [providers], and which had no meaningful record of performance so as to indicate that higher performance would offset this difference in fees.” Ouch! “But Ron,” you say, “even if we (or the TPA and broker) are fiduciaries of the plan, the decision to contract with over-priced facilities, agree to their fees, and pay these claims, is ultimately a decision made by the plan sponsor (employer) – right? So, while your previous comments about self-funded employers leaving the market when they realize they’ve been taken for a ride may be true, we are at least safe from liability for fiduciary breach. Right?” Maybe not. If I am a member of a self-funded health plan, and my administrator is taking my money, and using it to pay for a $3,000 colonoscopy, when a facility down the road would do it for $750… and the more expensive facility has an “as good” or “worse” record when it comes to quality and outcomes… wouldn’t I say: “Hey! It looks like that fiduciary isn’t prudently managing my assets.” I truly believe that, for anyone that is a fiduciary of these plans, the day participants turn on us may not be a matter of “if,” but rather, “when.” Consider also the recently filed, McCorvey v. Nordstrom, Inc. filed in the California Central District Court on November 6, 2017. In this case, a former participant in the Nordstrom Inc. 401(K) Plan sued plan executives alleging breaches of fiduciary duties in the management of the plan, and is seeking class action status for their claim. The basis of the claim, similar to the Safeway case discussed above, challenges the reasonableness of fees paid with plan assets, and further, that the plan fiduciaries failed to take advantage of cost-cutting alternatives. The lawsuit literally contends that the defendant failed to adequately and prudently manage the plan, by allowing plan funds to be used in the payment of unreasonable fees and not acting prudently to lower costs. It doesn’t take a rocket scientist to see the parallels between these lawsuits, and out of control spending by health plans. Whether you are someone offering better care for less cost, or someone who can revise the plan’s methodologies to maximize benefits while minimizing costs, these trends in fiduciary exposure should galvanize us all to either offer help, or seek it, when it comes to prudent use of plan assets. Consider Longo v. Trojan Horse Ltd., 208 F. Supp. 3d 700, 712 (E.D.N.C. 2016). In this case, the plaintiff employees of Trojan Horse and Glen Burnie Hauling filed a putative class action against defendant Ascensus Trust. In this case, the Defendant was collecting contributions, submitting them for investment, and keeping a fee for themselves. There is some dispute regarding what happened to the investments, but ultimately it appears the funds weren’t properly invested. The Defendant argued that they did their job, and the issues about which the complaint was filed was outside their immediate control. Yet, the court held that Defendant had a fiduciary duty in regard to the contributions, and that they failed to take affirmative steps to investigate. In other words, pursuant to 29 U.S.C. § 1132(a)(2), fiduciaries are responsible to ensure the plan’s welfare is priority number one, even when the actions in question may be taken by another entity or fiduciary. So… following that line of logic… if a TPA, broker, or other advisor is a fiduciary of the plan, and we are aware (or should reasonably be aware) of actions being taken by another fiduciary, that are detrimental to the plan … or options that available to the plan to contain costs, but we knowingly allow another fiduciary to ignore them… we may be on the hook too! So – in summary – I believe it is proper and necessary for any and all fiduciaries of these self-funded plans to step back, look for wasteful or imprudent behavior – both by the fiduciary itself, and other fiduciaries of the plan – and determine whether there is any action, option, or alternative that would constitute a more prudent use of plan assets. Ron Peck, Sr. Vice President and General Counsel, has been a member of The Phia Group’s team since 2006. As an attorney with The Phia Group, Ron has been an innovative force in the drafting of improved benefit plan provisions, handled complex subrogation and third party recovery disputes, and spearheaded efforts to combat the steadily increasing costs of healthcare. In addition to his duties as counsel for The Phia Group, Ron leads the company’s consulting, marketing, and legal departments. Ron is also frequently called upon to educate plan administrators and stop-loss carriers regarding changing laws and strategies. Ron’s theories regarding benefit plan administration and healthcare have been published in many industry periodicals, and have received much acclaim. Prior to joining The Phia Group, Ron was a member of a major pharmaceutical company’s in-house legal team, a general practitioner’s law office, and served as a judicial clerk. Ron is also currently of-counsel with The Law Offices of Russo & Minchoff. Ron obtained his Juris Doctorate from Rutgers University School of Law and earned his Bachelor of Science degree in Policy Analysis and Management from Cornell University. Ron is also a Certified Subrogation Recovery Professional (“CSRP”) and a member of the Self Insurance Institute of America (“SIIA”) Government Relations Committee. Koehler Likewise, those who seek to help these fiduciaries and the plan reduce their expenditures without harming the plan need to raise their voices and warn their prospective clients of the cost of not working with them. In other words, fiduciaries need to stop clinging to the status quo, and the onus is on all of us to help them do so. advocacy campaigns in state capitals across the country in response to a variety of legislative/ regulatory developments affecting the self-insurance marketplace. As a result of this engagement and outreach, SIIA has been able to obtain tangible policy outcomes for its members. These successful policy campaigns have been made possible by a team led by SIIA State Government Relations Vice President Adam Brackemyre, supported by outside advocacy counsel, media professionals, partner organizations and a number of SIIA members who generously used their time to get involved. Provided below is a summary of key developments and SIIA activities during 2017. More in-depth details will be provided during the Legislative/Regulatory Update session included as part of SIIAâ&#x20AC;&#x2122;s Self-Insured Health Plan Executive Forum, scheduled for March 5-7, 2018, in Charleston, SC. This session will provide a first look at what state developments to expect going forward, as well as other updates, so please plan to attend. Should you have any questions in the meantime, please contact Adam Brackemyre at abrackemyre@siia.org. New Mexico Earlier this year, the legislature passed and the governor signed SIIA-supported language to amend New Mexico’s odd statutory language that defined stop loss as a form of health insurance. Over the past two years, SIIA, working with an in-state lobbyist, addressed concerns stemming from the regulatory treatment of stop-loss form filings: that new stop-loss filings meet health insurance medical loss ratios. Working closely with the regulators and other stakeholders, a consensus was reached to change New Mexico law through amended legislative language. The Office of the Superintendent of Insurance (OSI) included this language in its omnibus legislation, Senate Bill (SB) 367, and SIIA worked with a legislative sponsor to introduce the small fix House Bill (HB) 336. SIIA supported both bills containing identical language. During legislative hearings, SIIA served as the primary witness for HB 336, testifying for the legislation in the State House of Representatives and lobbying legislators on the committee of jurisdiction. This was a successful endeavor as both bills passed, helping SIIA members and the OSI, who appreciated industry support for the final legislation. This year, SIIA was able to obtain an additional one-year renewal for grandfathered stop-loss contracts through legislation passed by the legislature and signed by the governor. During its Albany lobby day, SIIA learned that the Assembly would not move SIIA’s legislation to permanently protect the 51-100 market until a Department of Financial Services-commissioned stop-loss study comes out in March 2018, but would allow grandfathered stop-loss contracts to renew through January 1, 2019. This was the best possible outcome given the politics – and allows SIIA member clients to keep their health plan through this year’s and next year’s renewal. Throughout the legislative process, SIIA lobbyists and several members met with Assembly Insurance Committee members, Assembly and Senate leadership, Department of Financial Services staff and Governor Cuomo’s policy advisors. SIIA also worked with members to place favorable op-eds in Buffalo, Syracuse and New York City-area newspapers. SIIA will once again actively engage in New York State next year, working to permanently protect the 51-100 stop-loss market. Nevada SIIA has been an active participant on a state regulatory task force reviewing stop-loss regulations, submitting comments and working with a stakeholder group to form and improve the panel’s final recommendations. The Governor’s Advisory Task Force on Health Care began reviewing the state’s stop-loss regulations earlier this year. Although public information about the committee’s work is challenging to find, SIIA was able to obtain working drafts and comment on some of the ideas the group was discussing via conference call and written comments. One of the better pieces of news from the task force is that it has been supportive of eliminating the $4,000 per-person aggregate. SIIA input addressed an earlier concern, likely a drafting error, requiring carriers to issue a standardized state-created disclosure form to large employer (51+) clients. New York SIIA continues to fight to protect the 51-100 market for “small employers” in New York State. Moving forward, SIIA will address a remaining draft proposing a ban on very small group contracts. The Nevada Department of Insurance will likely propose new regulations adopting some of the task force’s recommendations as a next step in the process. Maryland SIIA has worked throughout this past year to lay the groundwork for expected stop-loss legislation next year in Maryland. This work stems from sun-setting 2015 stop-loss legislation which raised minimum the minimum individual and aggregate attachment points and requires carriers to provide a small employer disclosure form. Late this year, the SIIA-led Preserving Employer Health Plan Choices (PEHP-C) coalition reconvened, and is having ongoing conversations with non-member stakeholders who were extremely valuable allies since the coalition’s 2015 inception. While it remains unclear how the legislative process and politics will play out, SIIA is planning to continue serving at the PEHP-C chair, retain a lobbyist and remind legislators and regulators about the need to preserve small employer health plan options. Minnesota Working with stakeholders, SIIA helped to ensure that greater stop-loss contract flexibility is now available in Minnesota. In January, SIIA worked with business and insurance stakeholders to support Senate File (SF) 1, which deregulated stop-loss contract insurance standards. SIIA provided state law examples and other information, as necessary, to allay legislative and regulatory concerns. SIIA remains concerned that one insurer will seek to restrict stop-loss, stemming from fears of that insurer’s management that some small groups will choose self-insurance over their product. As part of the agreement with legislators, the BOI issued a series of questions to stakeholders including the topics of appropriate small employer minimum attachment points, lasering and other protections small employers need and conducted a stakeholder meeting on November 9th. Before attending the meeting, SIIA sent a letter addressing the various BOI questions. There will likely be an additional stakeholder meeting prior to the BOI drafting and proposing small employer product regulations. SIIA will keep you informed on all breaking state activity in 2018. If you have state legislative or regulatory questions at any time, don’t hesitate to contact Adam Brackemyre at abrackemyre@siia.org. During the recent legislation session, SIIA helped defeat legislation prohibiting small employer stop-loss contracts, and is working with regulators and stakeholders to determine appropriate regulatory standards for small employer stop-loss contracts. This year, two legislators introduced Legislative Document (LD) 608 that would have prohibited stop-loss carriers from issuing contracts to “small employers.” In response, SIIA worked with members, including carriers, TPAs and brokers, to create opposition and filed a letter of opposition with each legislator. As a result of this, the legislation was ultimately pulled as legislators gained a better understanding of how self-insurance is working for some smaller employers. Instead of hastily passing a law, legislators directed the Bureau of Insurance (BOI) to learn more about the issue. Endeavors SIIA’s 2018 Self-Insured Health Plan Executive Forum will take place March 5-7th at the Belmond Charleston Place in Charleston, South Carolina. Come in early to participate in the Self-Insurance Educational Foundation’s (SIEF) always popular golf tournament on March 5th at RiverTowne Country Club. Don’t miss this exclusive opportunity to better your handicap, refine your putting skills and support the foundation dedicated to ensuring the development of tomorrow’s leaders in the selfinsurance/ART industry. The SIEF Golf Tournament Fundraiser is open to all conference registrants and promises to be an excellent opportunity to network with executive-level industry colleagues and peers. Sponsorship opportunities are available! The educational program kicks off Tuesday, March 6th with Self-Insurance Industry Town Hall, moderated by SIIA President & CEO, Mike Ferguson. This session is designed to take the “pulse” of the industry by engaging the audience through a real-time polling format where attendees will be asked to register their opinions on the hottest and sometimes controversial topics on the minds of self-insured employers and their business partners. All audience feedback will be displayed in real time, making this a truly lively and interactive way to kick off the program. The Good, Bad & Ugly of Reference Based Pricing This panel discussion moderated by Tim Callendar, Vice President of The Phia Group, LLC, will feature diverse expert perspectives on various reference based pricing strategies. Attendees will be invited to join the discussion by submitting anonymous real-time questions and comments via the event’s technology tool. Panelists include Julie Mueller, President & CEO of Custom Design Benefits and David W. West, Director, Corporate Development of Group & Pension Administrators, Inc.
Self-Insurance State Bar Exam In another session designed for direct audience participation, attendees will have the opportunity to take a mini “bar exam” consisting of a series of timely legal questions related to self-insured group health plans. Audience responses will be displayed in real time and “Professor” Ashley Gillihan Counsel at Alston & Bird, LLP will explain correct and incorrect answers. This format promises to create a fun environment to learn important legal information directly relevant for selfinsured employers and/or their business partners. Putting the Deal Together – Perspectives of a Stop-Loss Broker Kevin Seelman, Senior Vice President of Lockton Dunning Benefit Company, one of the country’s top stop-loss insurance brokers, shares his unique perspectives on the major factors that influence how stop-loss deals either come together or fall apart. He will also highlight macrotrends in the stop-loss marketplace, as well as how employers view their purchasing decision. Attendee questions/ interaction will be encouraged. Legislative/Regulatory Update Session SIIA lobbyists Ryan Work, Vice President of Federal Government Relations and Adam Brackemyre, Vice President of State Government Relations, will provide the latest updates on legislative/ regulatory developments and the federal and state level affecting self-insured employers and their business partners. During several breaks of the educational sessions will be short blocks of the SelfInsurance Solutions Showcase, where two five-minute vendor presentations will showcase the hottest products and/ or services that can help self-insured employers operate their health plans more efficiently and cost effectively. Audience members will rate each presentation via real time polling. On the last day of the program, there will be the Solutions Showcase – The Finalists, where the two highest-rated presenters from the previous date will face off for a final Solution Showcase – with the audience deciding who is the top presenter via instant polling. The educational program will conclude with part two of the Self-Insurance Industry Town Hall, moderated by SIIA President & CEO, Mike Ferguson, and Round-Table Discussions based on the polling results from the morning’s Town Hall session where the audience will decide the hottest topics they want to discuss further among themselves in an informal roundtable format. We look forward to seeing you in Charleston! More information, including registration and sponsorship opportunities can be found at www.siia.org. Our actuaries have the solutions and exper tise to help you succeed in the new year! O ur Of f ice has moved to a new locat ion, pl e a s e up d a t e yo u r r e c o r d s .
Diamond Members Zelis® Healthcare Named #1 on 2017 NJBIZ Fast 50 List Zelis is the Fastest Growing Company in New Jersey Zelis® Healthcare, a market-leading healthcare information technology company, has been named #1 on New Jersey’s 2017 50 Fastest Growing Companies list. The official announcement was made during the Fast 50 awards reception and ceremony at The Palace in Somerset, New Jersey on November 14, 2017. The award program produced by NJBIZ, New Jersey’s premiere business news publication, is presented by WeiserMazars and sponsored by UnitedHealthcare, Archer & Greiner and Columbia Bank. The 2017 NJBIZ 50 Fastest Growing Companies awards program celebrates New Jersey’s most dynamic companies who progressively contribute to the success of the state’s economic growth and stability. To qualify, companies had to meet selection criteria that included a revenue size of at least $500,000 within the past two out of three years and growth in revenue over a three-year period, dating from fiscal year 2014 to 2016. Presenting sponsor, WeiserMazars calculated the nominations and then ranked the companies according to revenue growth over the three-year period. Both dollar and percentage increases were taken into consideration. “We are honored to be recognized,” said Doug Klinger, CEO of Zelis Healthcare. “Our growth is made possible by our hard-working, dedicated, forward-thinking associates, who work tirelessly with our insurer clients, healthcare providers and our partners to help improve the efficiency and effectiveness of our nation’s healthcare system.” To learn more about Zelis Healthcare, visit us on Facebook, follow us on Twitter or connect with us on LinkedIn. https://www.facebook.com/zelishealthcare/ https://twitter.com/ZelisHealthcare https://www.linkedin.com/company/zelishealthcare About Zelis® Healthcare Zelis Healthcare is a healthcare information technology company and market-leading provider of integrated healthcare cost management and payments solutions including network analytics and design, network access and cost management, claims cost management and electronic payments to payers, healthcare providers and consumers in the medical, dental and workers’ compensation markets nationwide. Zelis Healthcare is backed by Parthenon Capital Partners. Symetra Ratings Affirmed by A.M. Best A.M. Best has affirmed the Financial Strength Rating of A (Excellent) and the Long-Term Issuer Credit Ratings (Long-Term ICR) of “a+” of Symetra Life Insurance Company and its subsidiary, First Symetra National Life Insurance Company of New York (New York, NY), together referred to as Symetra Life Group. The rating affirmations reflect the Symetra Life Group’s strong risk-adjusted capitalization, as well as the support of its parent, Sumitomo Life Insurance Company (Sumitomo). A.M. Best notes that year-over-year financial comparisons reflect a difference in accounting methods as the merger was accounted for under the acquisition method of accounting (purchase accounting or PGAAP). A.M. Best believes that Sumitomo is committed to Symetra’s growth strategy and will provide capital support as needed in the near to medium term. The rating affirmations also reflect the organization’s strengthened business profile through enhanced product and distribution diversification and generally favorable statutory and GAAP operating earnings. Symetra Life Group is well-regarded as a leading carrier in the medical stop-loss space. A.M. Best also notes the company has focused efforts on overall product diversification. •	Account Manager – Captive Division Qualified candidates should contact: Careers@BerkleyAH.com. Learn more about working at Berkley Accident and Health. About Berkley Accident and Health Berkley Accident and Health (Berkley) is a risk management company that designs innovative solutions to address the unique challenges of each client. With our entrepreneurial culture and a strong emphasis on analytics, we can help employers better manage their risk. We offer a broad range of products, including employer stop loss, benefit captives, provider stop loss, HMO reinsurance, and specialty accident. The key to Berkley’s success is our nimble approach to risk – our ability to quickly understand, think through, and devise a plan that addresses each client’s challenges, coupled with the strong backing of a Fortune 500 company. Our parent company, W. R. Berkley Corporation (NYSE: WRB) is one of the largest and best managed property/casualty insurers in the United States. Visit www.BerkleyAH.com, www. wrberkley.com and www.benefitscaptives.com. Sales Directors – Stop Loss Underwriting Management Experts (UME), a leading Managing General Underwriter of employer stop-loss coverage headquartered in Lansdale, PA, is seeking two experienced stop-loss sales professionals to join the UME team as Regional Sales Directors. This is an exciting opportunity to join an established and thriving MGU with aggressive growth goals. These are work-from-home sales positions with preferred locations being (but not limited to): Texas, Illinois, Indiana, North Carolina or Georgia. These positions require travel (approx. 50%) within the designated territories. •	Possess a strong knowledge of the TPA and broker marketplace within assigned territory. and improve the quality of care for more than 500,000 covered lives. Underwriting Management Experts (UME) is a full-service Managing General Underwriter of employer stop-loss coverage. UME provides a multitude of flexible, innovative products and solutions, crucial to creating success in an ever-evolving marketplace. Our product offerings include: traditional employer Stop-Loss, Maximum Advantage, Student Medical, MEC offerings, RBP options, and Life products, as well as Captive ownership, cell rental, reinsurance, underwriting and backroom support services for carriers and partners. Contact Robert Glorioso at Rglorioso@umexperts.com and visit www. umexperts.com. Volkert called BridgeHealth “a company of character” because it rushed to meet the urgent healthcare need of one of the Trust’s employees. staff conference. She also plans to introduce the option to another trust served by Hunt Insurance Group. About Florida Sheriffs Multiple Employers Trust The Florida Sheriffs Multiple Employers Trust (FSMET) (www.fsmet.net), based in Tallahassee, Fla., was established in 1984 by Florida Sheriffs for Sheriffs and interested counties. Governed by an elected board of trustees, including three sheriffs, the FSMET is administered by Hunt Insurance Group, LLC (www.huntins.com). The FSMET acts as an umbrella, protecting each Sheriff’s office plan housed under it. By joining the Trust, county Sheriffs benefit by increasing their negotiation leverage with insurance carriers, as well as efficiently controlling and managing their employee benefits and finances. About BridgeHealth Founded in 2007, BridgeHealth (www. 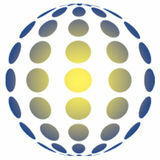 bridgehealth.com) is a provider of valuebased healthcare services. Its bundled rates allow self-insured group health plans to improve quality and outcomes of surgery, reduce costs and positively affect the rate of unnecessary surgery. Through decision support, a program of high-quality providers, care coordination and other strategies, clients get real results while providing an outstanding patient experience through a facilitated process. Clients achieve very quantifiable results in a manner that integrates with their full suite of health plan benefits. BridgeHealth is headquartered in Denver, Colorado. Unum Group is a leading provider of financial protection benefits in the United States and the United Kingdom. Its primary businesses are Unum US, Colonial Life, Starmount and Unum UK. Unum’s portfolio includes disability, life, accident and critical illness, dental and vision coverage, which help protect millions of working people and their families in the event of an illness or injury. Unum also provides stop-loss coverage to help self-insured employers protect against unanticipated medical costs. The company reported revenues of $11 billion in 2016, and provided $6.9 billion in benefits. Visit www.unum.com. Leading benefits provider Unum has hired Chris Walker as a stop loss account executive supporting the Northeast region. His territories include Pennsylvania, New Jersey, Maryland, Delaware, Virginia and Washington, D.C. Walker has 18 years of experience in the stop loss and employee benefits industry and comes to Unum from AIG, where he was a regional sales director. Walker will operate out of the Philadelphia office and will report to Chris Quinn, vice president of Unum Stop Loss distribution. “Chris has a successful track record in the stop loss market,” Quinn stated. “His knowledge and expertise will be a valuable asset to employers as he limits their exposure to losses, creates efficiencies, and aids in designing effective health and benefits plans.” Unum entered the stop loss market earlier this year to broaden the scope of financial protection it provides employers. Policies are currently available for sale in select markets and will be available nationwide by the end of next year. For more information about Unum Stop Loss, visit www.unum.stoploss.com. Walker can be reached at CWalker3@unum.com or (610) 491-6909.